If transporting a variety of bulk and solid loads is what you need and you don’t want the restrictions of enclosed bodywork, then a Citroën Ready to Run Dropside conversion is the right choice for you and your business. Popular with a variety of different professions including outdoor trades, such as light construction and landscaping, a dropside converted vehicle has many benefits on offer. Both side and tailboards are hinged along the lower edges, pivoting down below deck level for loading. The practical, open bodywork can transport a mix of loads and equipment as required. In fact, dropsides offer two bodies in one. By removing the side boards, tailboard and the rear corner posts, the Citroën Relay Ready to Run Dropside can be transformed into an open flatbed body, ready to carry palletised loads in particular. The Ready to Run Dropside range is made up from three models; the L2 Single Cab, L3 Crew Cab and L3 Single Cab. These models offer three different deck lengths. The Crew Cab model provides a second row of seats and can carry a driver and up to six passengers. The Ready to Run Dropside range provides payloads between 1,253kg* and 1,441kg*. The Ready to Run Dropside features a robust, yet lightweight construction. The load floor is manufactured from a single sheet of heavy-duty birch plywood, finished with a non-slip coating. The floor is assembled so that there are no load retaining rings set into it. These are fitted into the powder-coated aluminium perimeter rail instead. Dropside bodywork can lead a hard life, so the body structure uses bolted construction, ensuring that damaged parts can be replaced quickly. Citroën can usually supply parts in 24 hours. Single-piece aluminium profiles are used to form the body side and tailboards. The smooth, silver anodised finish provides a surface that is easy to keep clean and is ready-made to take corporate livery. Corrosion resistance is important particularly for steel parts and these have been comprehensively tested to ensure they provide the high level required. Ready to Run Dropside bodies are all equipped with a front bulkhead/gantry which extends to the height of the cab, as standard. 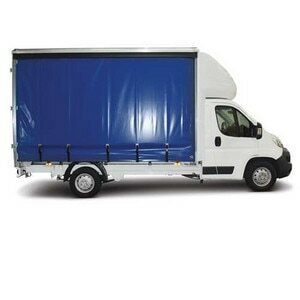 Cab occupants are protected from a shifting load by an embossed steel panel fitted to it. The gantry is constructed around three horizontal load rails, designed to provide securing points for loads of different shapes and sizes. The upper rail incorporates 1,000kg capacity load securing rings. This rail can also support loads that are too long to rest on the load floor. The cab provides a number of storage spaces, including large door pockets and two gloveboxes, one of which is lockable. 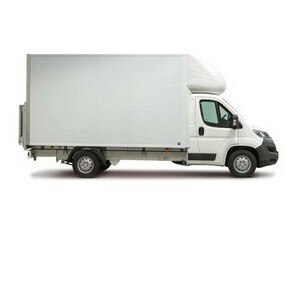 The cab provides secure storage thanks to deadlocking doors and remote control central locking. In addition to the comprehensive standard specification, the Ready to Run Dropside is available with an extensive list of options and accessories so you can easily choose the equipment you need. 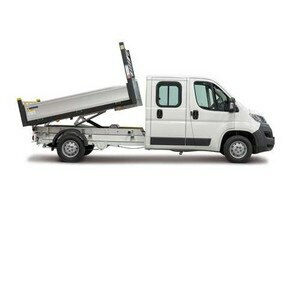 Options include a tow bar and electrics, light bars, toolboxes and a tail lift. There are two USB ports in the cabin of Citroën Ready to Run vehicles. One is connected to the radio and can recharge mobile devices, while the other allows recharging of a second device. The driver’s seat in Citroën converted vehicles is adjustable for rake, reach and height and includes a lumbar adjustment and arm rest as standard equipment. With 13 different storage spaces in Citroën's Dropside conversion including a lockable glove box, you can take everything you need for a days work. The Citroën Ready to Run range of converted vehicles come with an extendible writing panel which is perfect to support purchase orders, smartphones or tablets without having to leave the cab. Citroën Dropside's gear lever is located on the dashboard for additional comfort. As well as the extensive range of features you can have on your Citroën converted vehicle you also benefit from a 3-year warranty, Full European Type approval, 10-year parts support commitment and much more. To find out more, contact your local business centre and discover all of the benefits of a Citroën converted vehicle.